The temperate summer of 2014 was perfect for the Christ Church grounds after a tough winter. We lost several shrubs to the cold, but a nice summer was perfect for grounds recovery and to prepare it for the next winter. The Boy Scouts were there in force to spread the mulch once again this spring. Rob Robinson provides the mulch. With the boys and their fathers, the entire grounds were mulched in 1.5 hours! We are fortunate they provide the manpower for this project. Many thanks to dedication of the committee and the gardeners Janet Daniels, Cathy Agnor, Rich Wilson, Kaye Lowe, Carol Klemencic, Dave Petterson, Len Harrison, and Ed Gibson. They all keep after sections of the garden diligently and faithfully. Please thank them yourself. 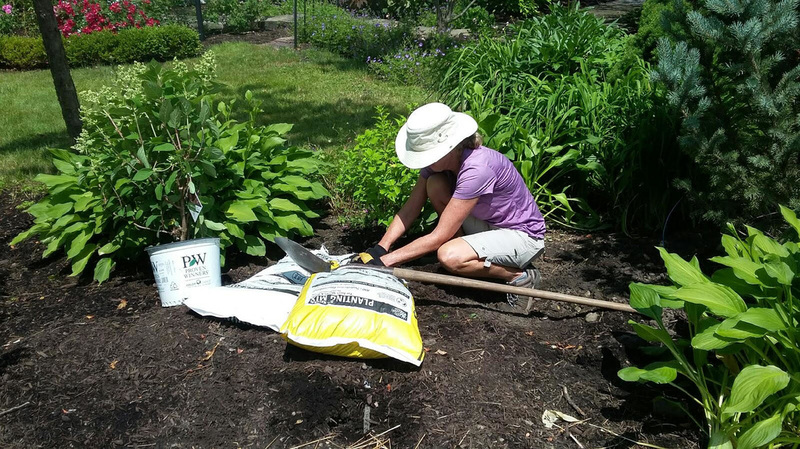 More gardeners are welcome anytime to take on a plot for the season. With funds given in honor of Gayle Dieckman and Peter Erwin, the grounds committee was able to make several improvements. In front of the church, we replaced the dying juniper with a columnar blue spruce. Along the eastern property border we replaced the over grown grasses with a Magnolia Jane, and added to that border 6 Mugo Pine and 3 Ninebark "Centerglow‟. In the memorial garden we were able to add more furniture. The table and chairs are cast aluminum. The umbrella will go to the basement in the winter. Please visit the memorial garden and enjoy! The grounds committee is committed to maintaining a reverent, hallowed, and lively memorial garden for the benefit of all.